I don’t know if you can really go wrong with grilled cheese. This one is definitely a few notches up from your kids american cheese grilled cheese. 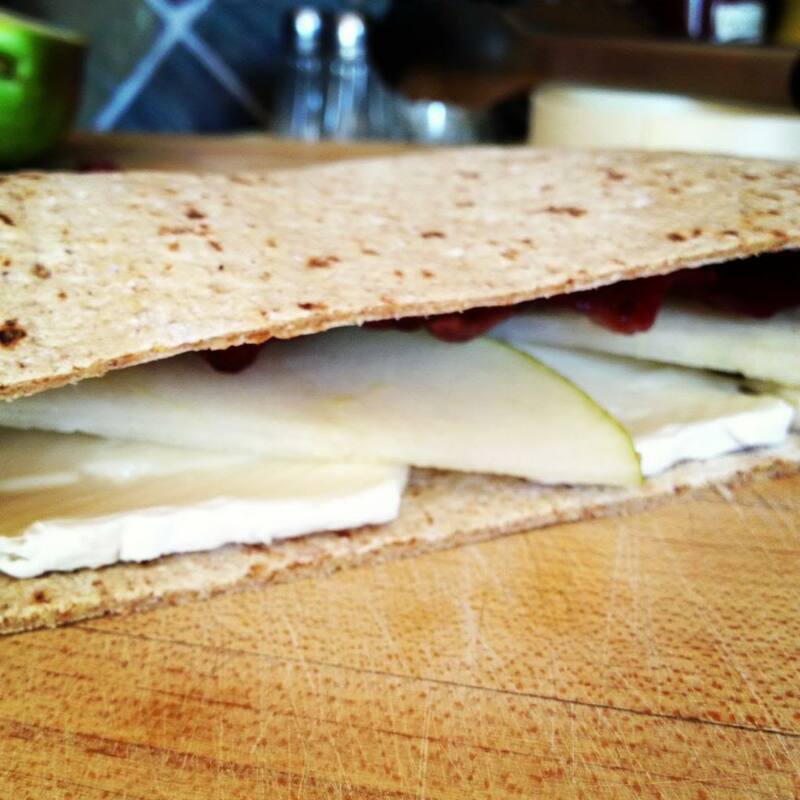 The flavor of Brie is so wonderful, it is rich, creamy and melts wonderfully! 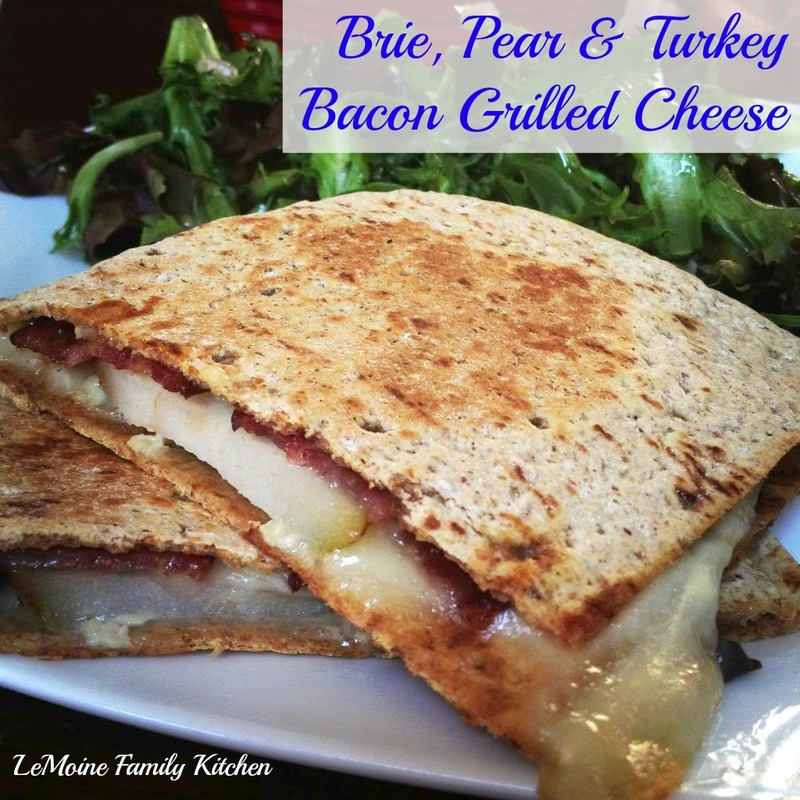 This Brie, Pear & Turkey Bacon Grilled Cheese is really delicious! 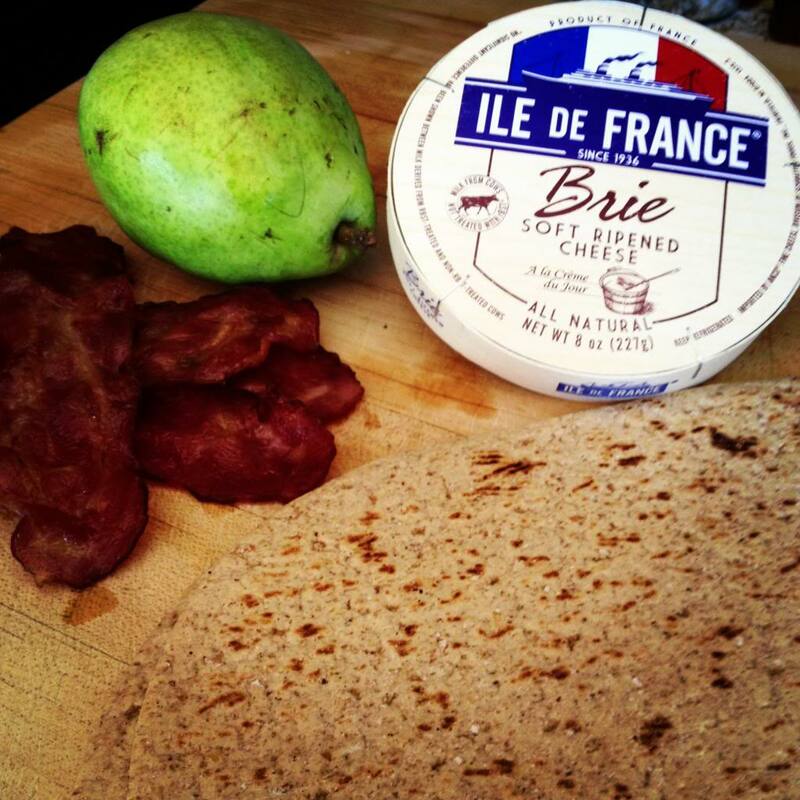 The perfectly melted creamy brie, the sweetness of the pear and the salty bite from the turkey bacon… its a wonderful combination! 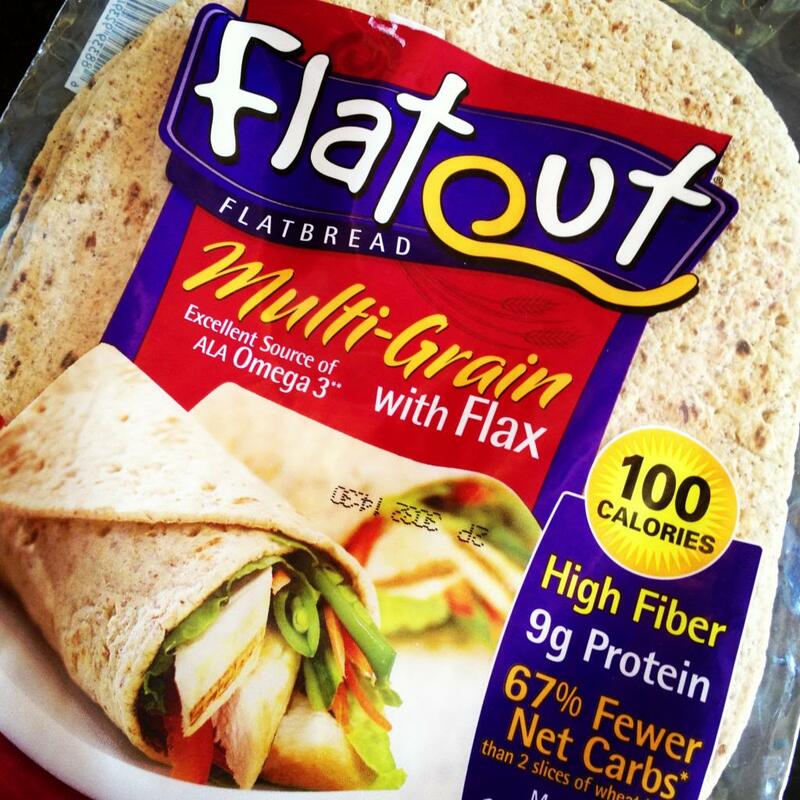 For the bread, I found a multi grain flatbread that I wanted to give a try… love it!!! This is such an awesome quick, go to meal with a bit of sophistication about it! Have you checked out my Brie Bundles with Homemade Fig Jam , Puff Pastry Brie & Apricot Bundles or my Not Your Ordinary Turkey Panini? You have got to give them all a try, YUM! And yes I may have a slight obsession! Cut each flatbread in half. 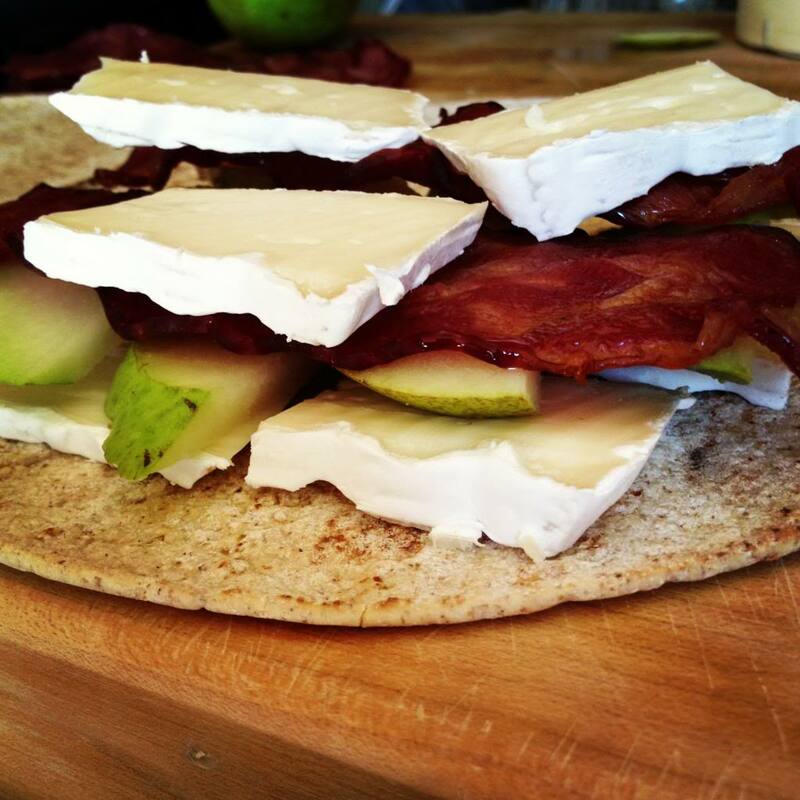 Lay several slices of the brie down on the bread, top with a few slices of pear and two slices of bacon onto two of the halves. Add another layer of brie on top, this will seal the top piece of bread. 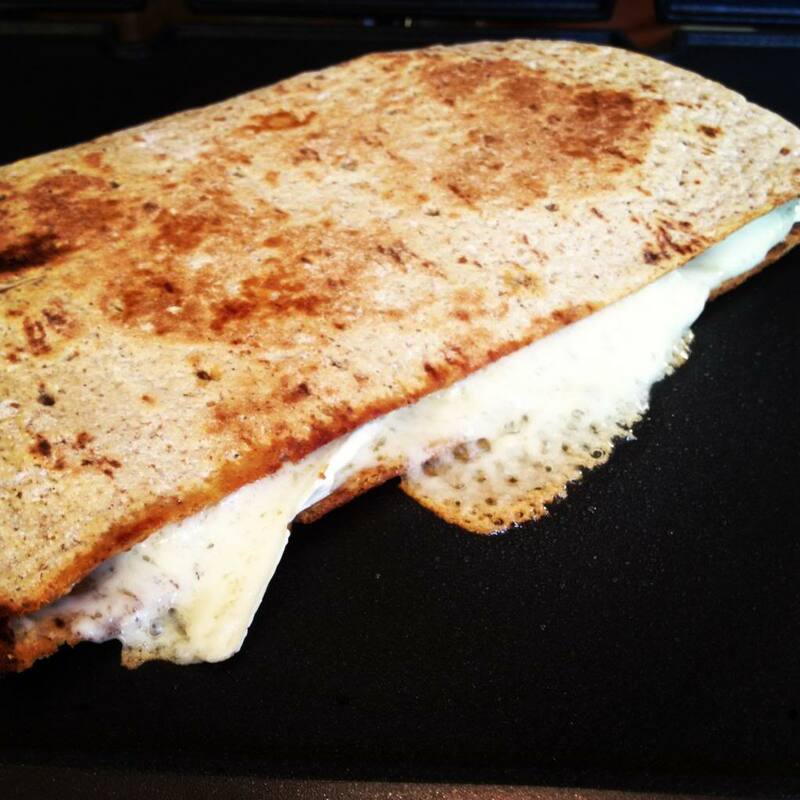 Place onto a hot panini grill or pan. Cook until the brie is melted and the bread gets a bit crisp. That gooey brie is just beautiful!!! This looks way good. Thank you for joining us at Let’s Get Social Sunday. Pinning this for sure. Look at all drooling. I like eat it. This looks great! I am a huge fan of Brie 🙂 Thank you for joining our Let’s Get Social Sunday party ! We also host a weekly link party which you are welcome to link up some of your posts – starts every Tuesday at 7am EST – hope to see you there !